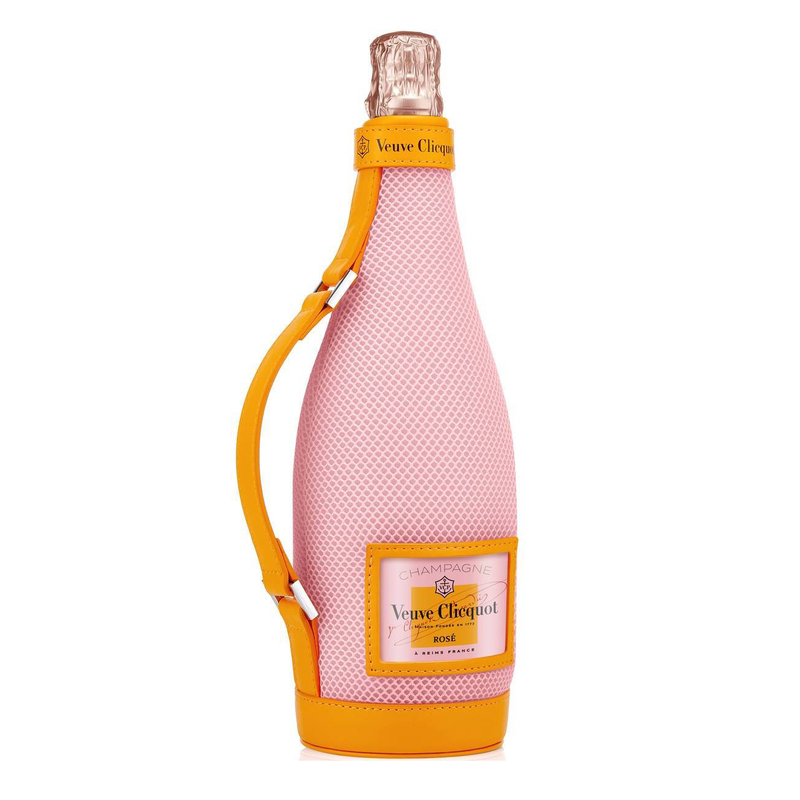 Veuve Clicquot Rose in Ice Jacket 75cl 4 has a bold new design. This new-style jacket is a product of avant-garde flair and isothermic technology. The ice jacket keeps the bottle chilled up to 2 hours. and had a handle to make it even easier to take Veuve Clicquot Rose champagne on the go. A luminous colour with radiant rose accents. The nose is elegant and generous with initial aromas of fresh red fruit (raspberry wild strawberry cherry and blackberry)leading to dried fruits and biscuit notes (almonds apricots and brioche).